There's nothing more epic than a trip to the ocean to unwind and relax, but what's more are all of the wonderful and unique things you can discover while standing on the edge of the continent! 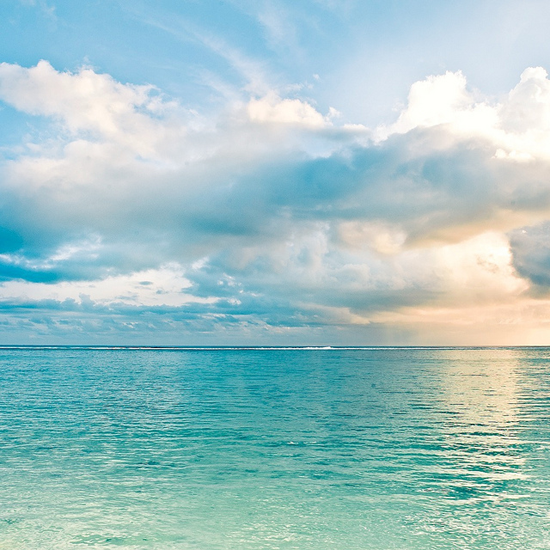 The sound of the waves crashing and the vast horizon really make you stop and think, don't they. 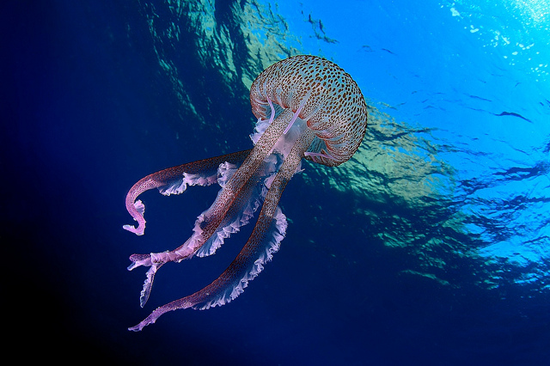 What a glorious and beautiful thing the ocean is! 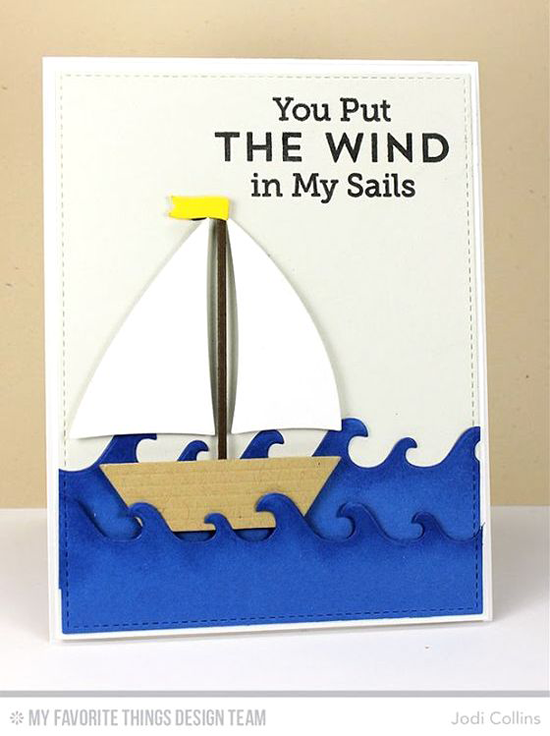 My Favorite Things has lots of great products to help you make ocean-inspired cards. 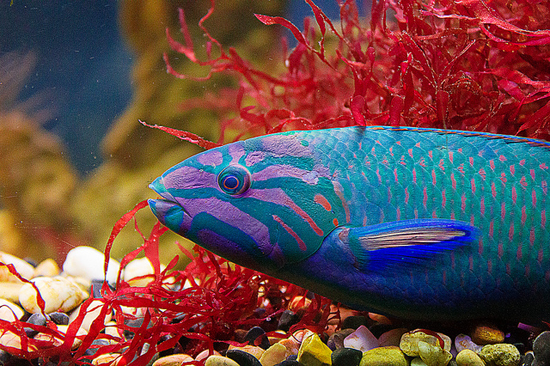 Let's take a look at some awesome projects that will inspire you to create aquatic designs! Francine features a raven-haired beauty sunning herself on the beach using the adorable Fun in the Sun stamp set and Die-namics. She created the sand background with sponged distress inks and a spritzer. 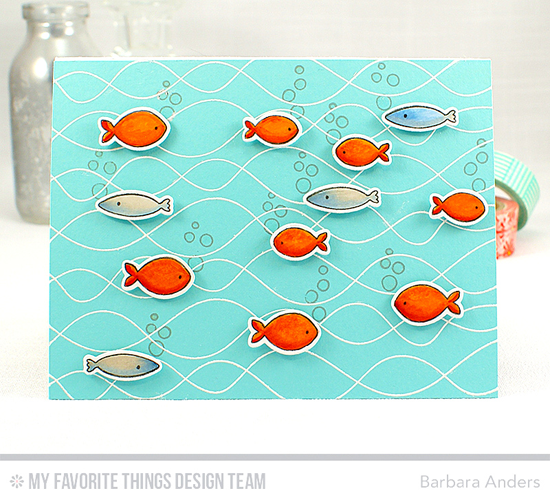 The Whimsical Waves Background stamp is the perfect tool for creating cool ocean scenes like Barbara did with a school of adorable fishies! 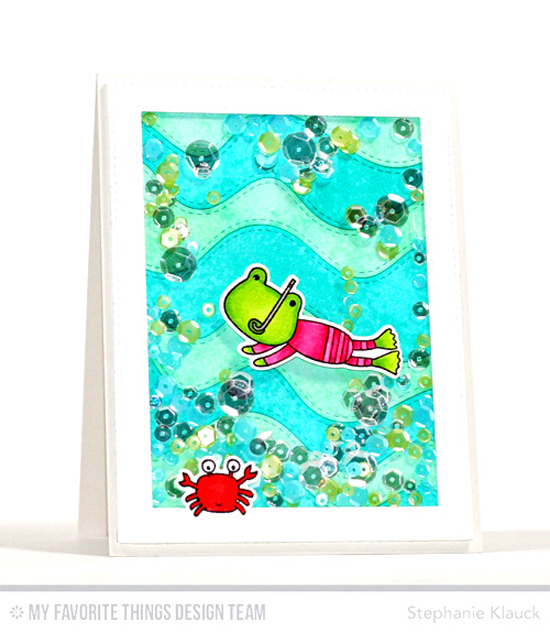 Stephanie die cut and inked an entire card stock panel with the Stitched Whimsical Waves Die-namics to create this bubbly undersea shaker card. You can see exactly how she created this card by watching her step-by-step video on MFTv HERE. 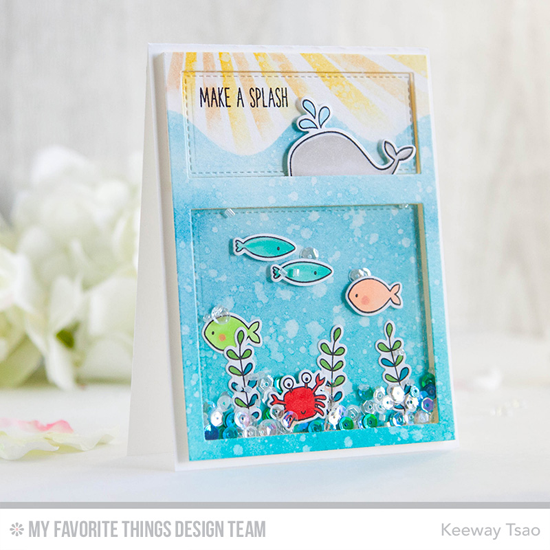 Keeway's card is under and above the sea with her inventive use of the Essential Cover-Up Vertical Die-namics and the Soak up the Fun stamp set and Die-namics. Crazy cute! Jodi's encouraging design would be perfect for a man in your life. 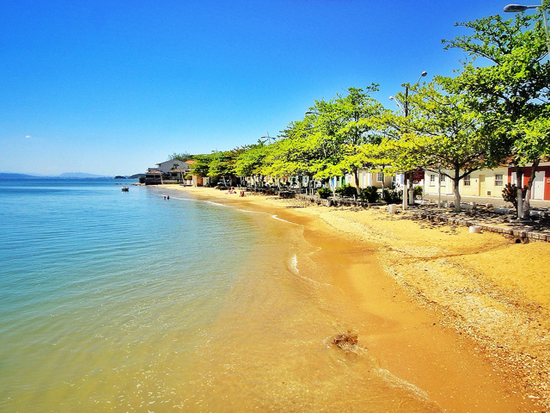 It's stately and majestic with the pristine Sailboat making a big impact. The Go Overboard stamp set that Jodi used in the card above is part of our HUGE Retirement sale. 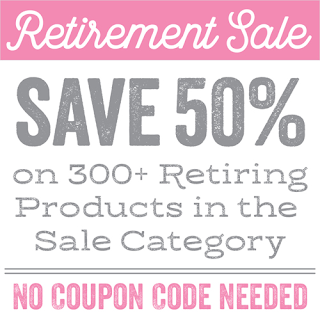 Save 50% on more than 300 retiring stamp sets, Die-namics, stencils, and inks. Act fast though because when these sell out, they won't be re-stocked - grab your must-haves soon! Shop HERE and save! 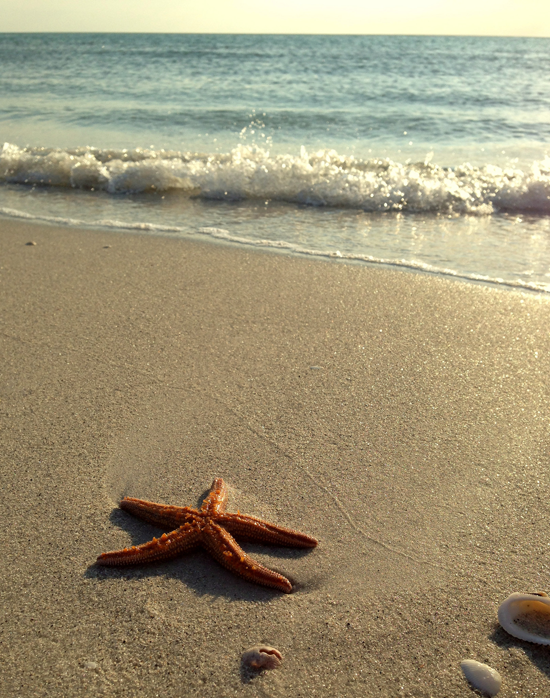 Before you go, take a look at a few of the ocean-inspired products you can buy at the My Favorite Things online store! 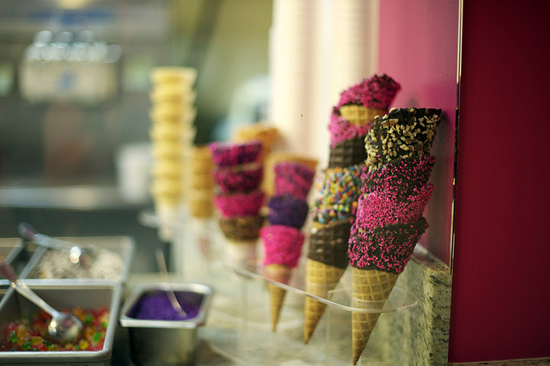 Simply click on the photo to be taken directly to the product. If the product is currently out of stock, you can sign up for an email notification once it's back in stock! Note: The items on the bottom row below are part of the retirement sale, so don't miss out on the savings! Sale items won't be restocked.